Girls’ Choice Badges: Badge Design Voting Now Open! 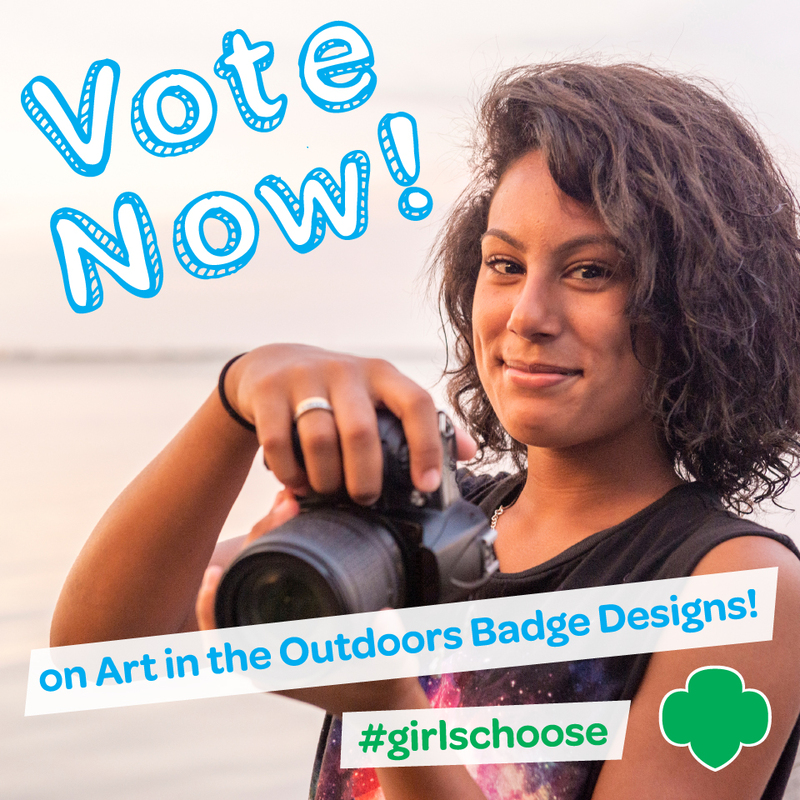 In December we announced the second Girls’ Choice badge topic winner—Art in the Outdoors! Now we’re pumped to get to the next step in this awesome process. Ready? 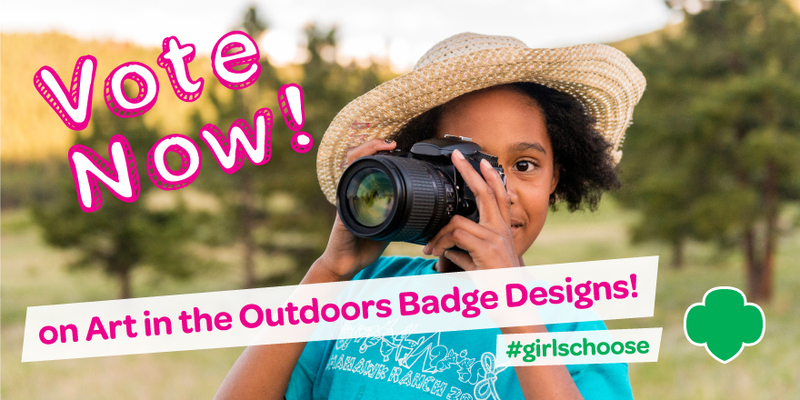 As we gear up to offer girls fun new badges that will allow them to explore their creativity and stretch their imaginations in the beauty and restorative nature of the outdoors, we’re opening the polls up and asking girls to decide what the new badges will look like. We’re so excited, and we know you are too! · Based on their grade level, girls will be shown two design options for the badge they will be able to earn this coming fall. For example, Brownie girls currently in the third grade will vote on designs for the Junior badge. · Note that because this round of badges is for Brownies through Ambassadors only, Daisies will vote on the Brownie badge.Also note that though girls in the twelfth grade will not technically be able to earn a badge this fall, they can still join the fun and vote on the Ambassador badge! Remember, Girls’ Choice is all about GIRLS and what they want from their Girl Scout experience—we’re here for them! So adults can vote for fun, but only girl votes will count toward the winner. Now go forth and encourage every Girl Scout you know to make her voice heard by voting today!